January | 2014 | Syed Jahanzaib Personal Blog to Share Knowledge ! If your webmin account is locked out due to too many wrong attempts, then simply wait at least 10-15 minutes, or issue following commands to login quickly. 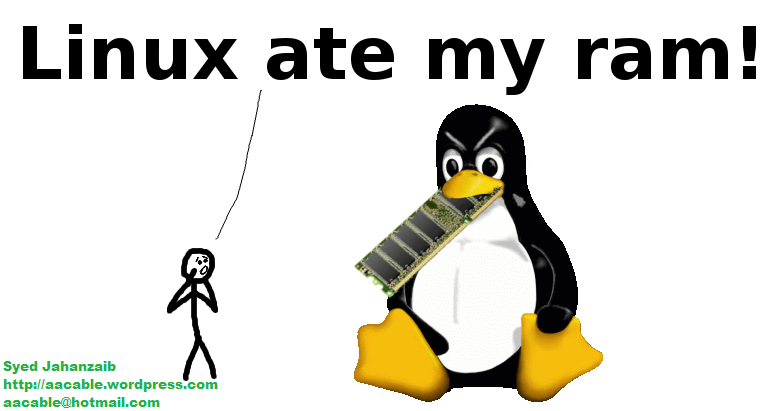 If you are hosting SQUID proxy server on your Linux box, you may have noticed that SQUID as a proxy server is very greedy with memory. Over the period of time, it consumes large amount of memory , even in some cases 98-99%. This script will clear the memory so that it be used by system or SQUID again. Make sure you are logged in with root user in order to continue. # Clear/Dump Cache Memory, to increase free memory, useful for SQUID proxy OR for general purposes. # Make sure you are Logged in with user root. # Action . . .
Now change the permission so it can be executed. To run this file on hourly basis, open terminal, (make sure you are logged in with the root user. Now some Explanation of what above script do . . . It will cause the kernel to drop clean caches, dentries and inodes from memory, causing that memory to become free. * sync only makes dirty cache to clean cache. cache is still preserved. * drop_caches doesn’t touch dirty caches and only drops clean caches. So to make all memory free, it is necessary to do sync first before drop_caches in case flushing daemons hasn’t written the changes to disk. This is in generally a non-destructive operation. It’s not a new story, but today I had to do it again to restore our email relay successfully. so I am writing this just as a reference. Recently we were having some issues in sending emails to various domains , in some particular case, our Public IP was blacklisted at one or two spam lists. To sort it out, we used our ISP’s SMTP (example: smtp.yoursip.com.pk)to relay mails successfully. Here is how you can add/change the relay host. 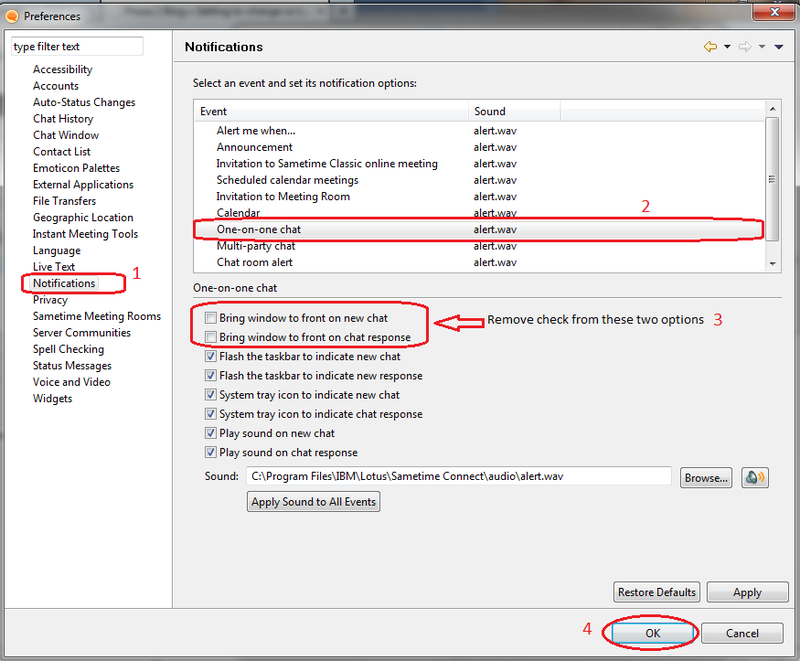 From the Domino Administrator, click the Configuration tab and then expand the Messaging section. 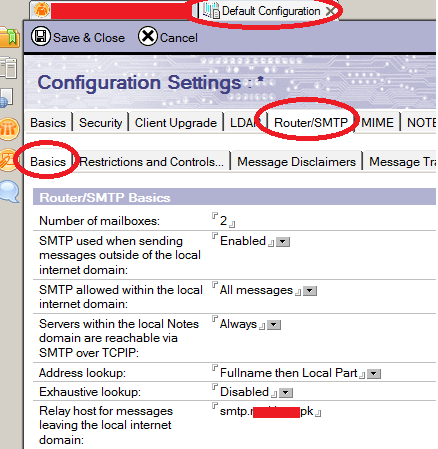 Click the Router/SMTP – Basics tab. To remove relay host, simply remove the smtp entry and reload config. Revision History . . .
[ 30th January, 2014] 64bit installation issue fixed. echo -e "$COL_GREEN Squid 2.7.9 Automated Installation Script ver 1.3 for Ubuntu . . .$COL_RESET"
echo -e "$COL_GREEN Clearing previous downloads if any in /temp folder to avoid duplication$COL_RESET"
echo -e "$COL_RED ERROR: Unable to contact $URL, or possibly itnernet is not working or your IP is in black list at destination server  !! $COL_RESET"
echo -e "$COL_GREEN ********************************************** $COL_RESET"
echo -e "$COL_GREEN   Select the type of your OS Architecture JZ   $COL_RESET"
echo "1. 32bit Ububtu [If you have 32bit OS]"
echo "2. 64bit ubuntu [If you have 64bit OS]"
echo -n "Choose an option:  "
1 ) echo "Selected Squid version is 32bit"
squidver="./configure --prefix=/usr --exec_prefix=/usr --bindir=/usr/sbin --sbindir=/usr/sbin --libexecdir=/usr/lib/squid --sysconfdir=/etc/squid --localstatedir=/var/spool/squid --datadir=/usr/share/squid --enable-async-io=24 --with-aufs-threads=24 --with-pthreads --enable-storeio=aufs --enable-linux-netfilter --enable-arp-acl --enable-epoll --enable-removal-policies=heap,lru --with-aio --with-dl --enable-snmp --enable-delay-pools --enable-htcp --enable-cache-digests --disable-unlinkd --enable-large-cache-files --with-large-files --enable-err-languages=English --enable-default-err-language=English --with-maxfd=65536"
2 ) echo "Selected Squid version is 64bit"
squidver="./configure --prefix=/usr --exec_prefix=/usr --bindir=/usr/sbin --sbindir=/usr/sbin --libexecdir=/usr/lib/squid --sysconfdir=/etc/squid --localstatedir=/var/spool/squid --datadir=/usr/share/squid --enable-async-io=24 --with-aufs-threads=24 --with-pthreads --enable-storeio=aufs --enable-linux-netfilter --enable-arp-acl --enable-epoll --enable-removal-policies=heap,lru --with-aio --with-dl --enable-snmp --enable-delay-pools --enable-htcp --enable-cache-digests --disable-unlinkd --enable-large-cache-files --with-large-files --enable-err-languages=English --enable-default-err-language=English --with-maxfd=65536 --enable-carp --enable-follow-x-forwarded-for --with-maxfd=65536 build_alias=amd64-debian-linux host_alias=amd64-debian-linux target_alias=amd64-debian-linux"
* ) echo "Invalid selection. Installation aborted." echo -e "$COL_GREEN Downloading SQUID source package in /temp folder. . . !! $COL_RESET"
echo -e "$COL_RED /temp folder not found, Creating it so all downlaods will be placed here  . . . $COL_RESET"
echo -e "$COL_GREEN /temp folder is already present , so no need to create it, Proceeding further . . . $COL_RESET"
echo -e "$COL_RED ERROR: SQUID source code package File could not be download or not found in /temp/ !! $COL_RESET"
echo -e "$COL_GREEN Executing $squidlabel Compiler which you have selected architecture type in start menu . . . !! $COL_RESET"
echo -e "$COL_GREEN LOGS folder found. No ned to create, proceeding ruther . . . $COL_RESET"
echo -e "$COL_RED ERROR: SQUID.CONF File could not be download or not found in /temp/ !! $COL_RESET"
echo -e "$COL_RED ERROR: STOREURL.PL File could not be download or not found in /temp/ !! $COL_RESET"
echo -e "$COL_GREEN Creating CACHE directory in $CACHE_DIR , in this example,I used 10GB for cache, adjust it accordingly  . . . !! $COL_RESET"
echo -e "$COL_GREEN Creating cache folder in $CACHE_DIR , Default size is 10GB, you should set it accordingly to your requirements  . . . $COL_RESET"
Following is an customized script to install DMASOFTLAB Radius Manager ver 4.0.4 / 4.1.x in Ubuntu 12.4 Server / 32bit. Just make sure you have same exact version as this script is specifically written and tested on 12.4/32bit. I know this is not a perfect script, it can be customized well as per the requirement, but still it does it’s job very nicely. Suggestions are most welcome at . . .
[25 January, 2018] Added new FTP hosting from where files will be download for the installation. Thanks to Mr, Rui / George. 2- root password set to zaib1234 and when mysql installation ask, set password to zaib1234 , and for sure when every thing gets settle, change these passwords. What components does this script add to the system ? Extract Radius Manager Installation file & install it. How-to Execute The Script !! There are several ways to do it, one is explained below . . .
Now copy paste the following code. echo -e "$COL_GREEN Checking OS version, as it must be Ubuntu in order to Continue . Syed Jahanzaib / aacable@hotmail.com. .$COL_RESET"
echo -e "$COL_GREEN OK - You are logged in with root ID, Ok to proceed further . . .!! $COL_RESET"
echo -e "$COL_RED /temp folder not found, Creating it so all downloads will be placed here . . . $COL_RESET"
# Clearing Old downloads in /temp to avoid DUPLICATIONS . . .
echo -e "$COL_RED Clearing Old downloads in /temp to avoid DUPLICATIONS . . . $COL_RESET"
echo -e "$COL_GREEN Checking if $rmurl is accessible in order to proceed further. . .!! $COL_RESET"
echo -e "$COL_RED ERROR: Unable to contact $rmurl, or possibly internet is not working or your IP is in black list at destination server !! $COL_RESET"
echo -e "$COL_RED ERROR: Please check manual if $rmurl is accessible or not or if it have required files, JZ !! $COL_RESET"
echo -e "$COL_GREEN ########################################### $COL_RESET"
echo -e "$COL_GREEN Select the type of your operating system: $COLRESET"
echo -e "$COL_GREEN Syed Jahanzaib / aacable@hotmail.com $COLRESET"
echo "1. Radius Manager 4.0.4"
echo "2. Radius Manager 4.1.0"
1 ) echo "Selected RM version is: 4.0.4 [Old]"
echo -e "$COL_GREEN Downloading RADIUS MANAGER 4.0.4 package from INTERNET . Sleeping for 5 Seconds . . (Press CTRL+C to stop any time) $COL_RESET"
echo -e "$COL_GREEN Updating UBUNTU . Sleeping for 5 Seconds . . (Press CTRL+C to stop any time) $COL_RESET"
2 ) echo "Selected RM version is: 4.1.0 [Latest]"
echo -e "$COL_GREEN Downloading RADIUS MANAGER 4.1.0 package from INTERNET . Sleeping for 5 Seconds . . (Press CTRL+C to stop any time) $COL_RESET"
echo -e "$COL_RED ERROR: RM Installation File could not be download or found in /$temp/$defver ! ZAIB - $COL_RESET"
echo -e "$COL_GREEN Installing components like MYSQL , PHP etc . Sleeping for 5 Seconds . . (Press CTRL+C to stop any time) $COL_RESET"
echo -e "$COL_GREEN Installing LIB packages . Sleeping for 5 Seconds . . (Press CTRL+C to stop any time) $COL_RESET"
echo -e "$COL_GREEN Installing IONCUBE . Sleeping for 5 Seconds . . (Press CTRL+C to stop any time) $COL_RESET"
echo -e "$COL_RED ERROR: COULD NOT DOWNLOAD IONCUBE !!! EXITING . . . $COL_RESET"
echo -e "$COL_GREEN Adding iONCUBE in PHP . Sleeping for 5 Seconds . . (Press CTRL+C to stop any time) $COL_RESET"
echo -e "$COL_GREEN Downloading FREERADiUS 2.2.20-dma-patch-2 package . Sleeping for 5 Seconds . . (Press CTRL+C to stop any time) $COL_RESET"
echo -e "$COL_RED ERROR: COULD NOT DOWNLOAD FREERADIUS 2.2.20-dma-patch-2, possible INTERNET is not Working !!! EXITING . . . Syed Jahanzaib $COL_RESET"
echo -e "$COL_GREEN Compiling FREERADIUS . Sleeping for 3 Seconds . . (Press CTRL+C to stop any time) $COL_RESET"
echo -e "$COL_GREEN adding RADIUS user & DB in MYSQL . syed jahanzaib. Sleeping for 5 Seconds . . (Press CTRL+C to stop any time) $COL_RESET"
mysql -u $SQLUSER -p$SQLPASS -e "CREATE USER '$myusr_rad'@'$radhost' IDENTIFIED BY '$mypsw_radius';"
mysql -u $SQLUSER -p$SQLPASS -e "CREATE USER '$myusr_cts'@'$radhost' IDENTIFIED BY '$mypsw_cts';"
mysql -u $SQLUSER -p$SQLPASS -e "GRANT ALL ON radius. * TO radius@$radhost;"
mysql -u $SQLUSER -p$SQLPASS -e "GRANT ALL ON conntrack. * TO conntrack@$radhost;"
echo "-$DB database does not exist! Probably either mysql not accessible or wrong credentials provided. Re run the script (by zaib)"
echo -e "$COL_GREEN Starting RADIUS MANAGER install script install.sh . Sleeping for 3 Seconds . . (Press CTRL+C to stop any time) $COL_RESET"
echo "Copyright 2004-2012, DMA Softlab LLC"
echo -e "$COL_GREEN (Use CTRL+C to abort any time) . Sleeping for 3 Seconds . . (Press CTRL+C to stop any time) $COL_RESET"
echo "Copying binaries to /usr/local/bin"
echo "Copying rootexec to /usr/local/sbin"
echo "Copying radiusmanager.cfg to /etc"
echo "Creating MySQL tables ..."
echo "Enabling rmpoller service at boot time ..."
echo "Enabling rmconntrack service at boot time"
echo "Enabling radiusd service at boot time"
echo -e "$COL_GREEN Setting Debina base WWW dir in configuration files . . .!$COL_RESET"
echo "Setting permission on raddb files"
echo -e "$COL_GREEN Radius manager Installation complete! copying license files ... $COL_RESET"
echo -e "$COL_GREEN Re-Starting Apache2, Radius and mySQL Service$COL_RESET"
echo -e "$COL_GREEN All Done. Please copy the license files in /var/www/radiusmanager folder and then access ADMIN panel via http://yourip/radiusmanager/admin.php $COL_RESET"
echo -e "$COL_GREEN RM Installation script by SYED JAHANZAIB / aacable@hotmail.com $COL_RESET"
After the script ends, do make sure that you don’t see Error’s during the installation. That’s why I have added 3-5 Seconds delay in each section so you can view the results. If you see any error like showed in the image below . . . (for not valid license), then make sure your license files are valid for right version and with the right mac address interface. (means Remove the Indexes word which allows directory listing).